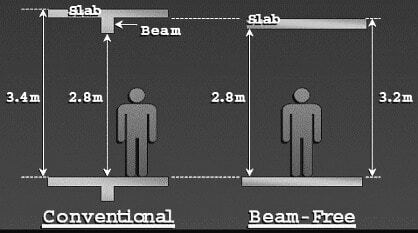 Flat slab is a reinforced concrete slab supported directly by concrete columns without the use of beams. Flat slab is defined as one sided or two-sided support system with sheer load of the slab being concentrated on the supporting columns and a square slab called ‘drop panels’. Drop panels play a significant role here as they augment the overall capacity and sturdiness of the flooring system beneath the vertical loads thereby boosting cost effectiveness of the construction. 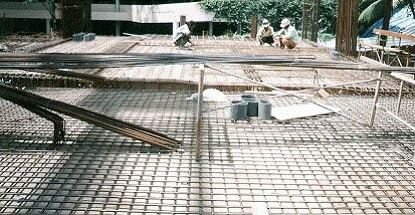 Usually the height of drop panels is about two times the height of slab. Flat Slabs are considered suitable for most of the construction and for asymmetrical column layouts like floors with curved shapes and ramps etc. The advantages of applying flat slabs are many like depth solution, flat soffit and flexibility in design layout. Even though building flat slabs can be an expensive affair but gives immense freedom to architects and engineers the luxury of designing. Benefit of using flat slabs are manifold not only in terms of prospective design and layout efficacy but is also helpful for total construction process especially for easing off installation procedures and saving on construction time. If possible, try to do away with drop panels as much as possible and try to make the best use of thickness of flat slabs. The reason is to permit the benefits of flat soffits for the floor surface to be maintained, ensure drop panels are cast as part of the column. It is recognized that Flat Slabs without drop panels can be built at a very fast pace as the framework of structure is simplified and diminished. Also, speedy turn-around can be achieved using an arrangement using early striking and flying systems. 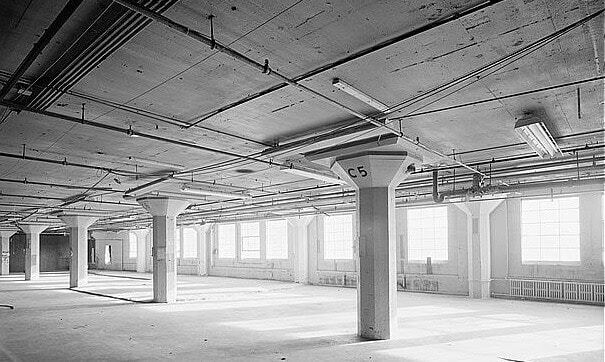 Flat slab construction can deeply reduce floor-to –floor height especially in the absence of false ceiling as flat slab construction does act as limiting factor on the placement of horizontal services and partitions. This can prove gainful in case of lower building height, decreased cladding expense and pre-fabricated services. In case the client plans changes in the interior and wants to use the accommodation to suit the need, flat slab construction is the perfect choice as it offers that flexibility to the owner. This flexibility is possible due to the use of square lattice and absence of beam that makes channelling of services and allocation of partitions difficult. Thickness of flat slab is another very attractive benefit because thin slab provides the advantage of increased floor to ceiling height and lower cladding cost for the owner. However, there is profound lower limit to thickness of slab because extra reinforcements are needed to tackle design issues. Besides this, added margin must be provided to facilitate architectural alterations at later stages. For smaller frames, empirical methods are used but sub-frame method is used in case of more irregular frames. The designs are conceptualized by employing appropriate software but the fact is using sub-frame methods for very complicated design can be very expensive. The most cost effective and homogenous installation of reinforcements can be achieved by applying the yield line method. A thorough visualization in terms of complete examination of separate cracking and deflection is required since this procedure utilises only collapse mechanism. Structures having floors with irregular supports, large openings or bears heavy loads, application of finite- element analysis is supposed to be very advantageous. Great thought is put into choosing material properties or installing loads on the structures. Deflections and cracked width can also be calculated using Finite- element analysis. 1. Deflections-Usually at the center of each panel deflections are maximum. Foreseeing deflections can be very tricky and will engage some form of elastic appraisal. While designing structure layout and during implementation using sub frame method, one way to evaluate mid-panel deflection is to use at least two parallel column strips. 2. Proprietary punching sheer reinforcement systems- In case of thin flat slab construction punching sheer reinforcements are indispensable. 3. Optimization of Main reinforcement- In certain design procedures, especially in yield line output is better optimized than in other design methods. Flat slabs allows Architect to introduce partition walls anywhere required, this allows owner to change the size of room layout. Use of flat slab allows choice of omitting false ceiling and finish soffit of slab with skim coating. 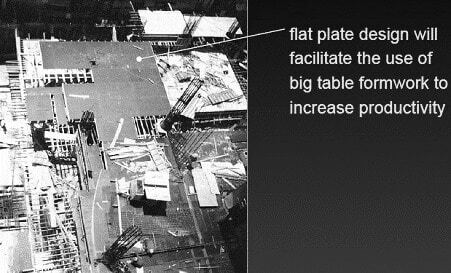 Use of flat slabs requires less time for construction by the use of big table formwork. All M & E services can be mounted directly on the underside of the slab instead of bending them to avoid the beams. Use of prefabricated welded mesh minimizes the installation time of flat slabs. These mesh are available in standard size and provides better quality control in construction of flat slab. This allows standardized structural members and prefabricated sections to be integrated into the design for ease of construction. This process makes the structure more buildable, reduce the number of site workers and increase the productivity at site, thus providing more tendency to achieve a higher Buildable score.